Today I am focused on my heart chakra and opening my heart with yoga poses. The heart chakra is the fourth chakra. Chakras are energy centers in the body. The heart chakra governs the heart, upper chest, and upper back. It ensures that harmony and balance exist in the body. When it is in balance, you feel open and give love and are able to connect with others in a peaceful, harmonious way. The Fish pose is a great heart-opener. I can do it on my bed which makes it even sweeter. Click here to learn more about it. I am huge fan of yoga poses that I can do in my bed. 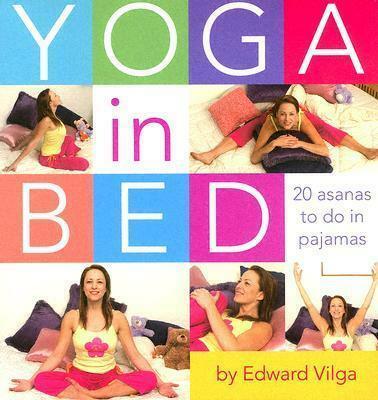 A few years ago I purchased Yoga in Bed by Edward Vilga. What a great book! It has helped me incorporate several poses into my home yoga practice and classes with clients. Have you ever tried yoga in your bed? Which poses work best for you when you practice in your bed?